In belief of the role of community researches in integrating the sector of tourism, a seminar was held for discussing the graduation projects of the senior students of the faculty of Tourism and Hotel Management on Thursday 31/5/2018 at the faculty’s conference hall. 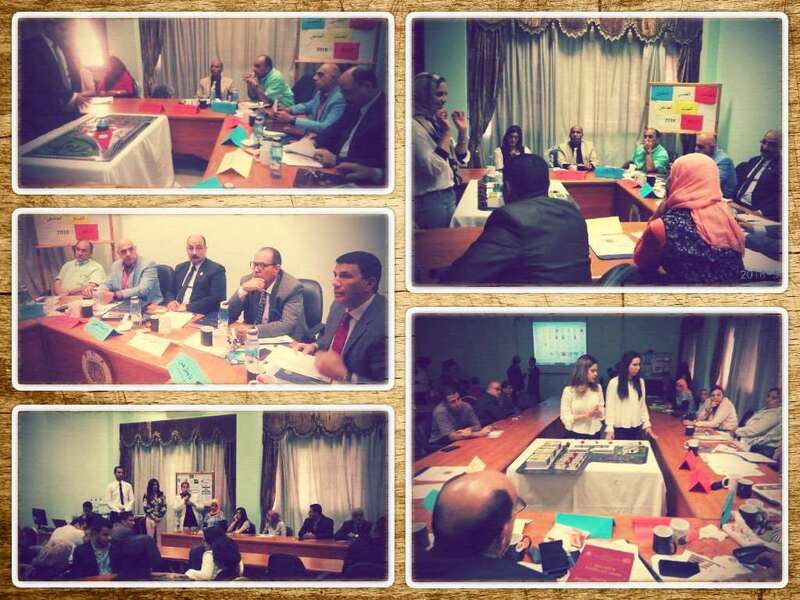 The students’ graduation projects were discussed by a panel of experts that was comprised of Mr. Osama Elkholy, the Director-general of the office of the Ministry of Tourism in Alexandria; Mr. Gamal Hassan, the General Manager of Mercure Le Sphinx Hotel; Mr. Magdy Selim, the former Undersecretary of the Ministry of Tourism; Ms. Dalia Amer, the General Manager of Radisson Blu Hotel in Alexandria; Dr. Mahmoud Mowad, a tourist expert; Mr. Hani Bakr, the HR Officer in Sheraton Montazah Hotel. The panel praised the submitted projects for being outstanding and innovative in the way they tackled the challenges of the tourism sector. These graduation projects were submitted under the supervision of Prof. Amany Refaat, the Dean of the faculty of Tourism and Hotel Management alongside a number of academic faculty members.